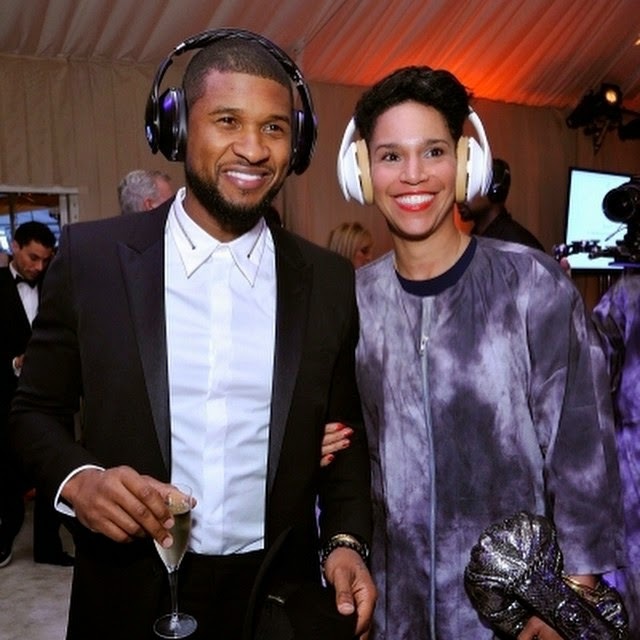 Usher Engaged To Grace Miguel - Check Out The Bling! Usher is engaged to Grace Miguel his long time girlfriend, business partner, and manager. She is 10 years older than him. The RnB singer has been previously married to another older woman, Tameka Foster, with whom he shares two sons. 46 year old Grace Miguel is a mother of one from a previous relationship and though there had been rumors of the engagement, it was confirmed when she showed off her huge engagement ring as the couple took a stroll in Miami beach recently. "I have an incredible partner and manager. She has helped me through some of the hardest times in my life and my career. She’s someone who’s been able to support and understand all of who I am. Not just as a dancer or as a performer or as a singer, but as a humanitarian and a business man and as a person." Congrats and all the best to them!